EirGenix, Inc. is a contract development and manufacturing organization (CDMO) that offers high quality and cost-effective service to support clients from around the world. 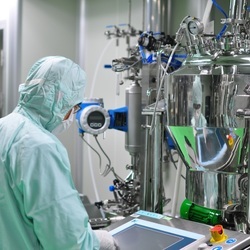 The firm owns and operates two cGMP compliant plants, producing microbial and mammalian based biologics all the way from cell line development to releasing of drug substance. Additionally it provides assistance in product and process development and analytical testing for all stages starting from pre-clinical stages to commercial manufacturing.